Are you Royal, Rococo or Rizzo?  Markiz Luxury Apartments are carefully designed for all travelers for whom a bed and a shower isn’t enough. With so much to explore in Zagreb, you’ll appreciate having such classy and private place at the superb central location to relax and rejuvenate! 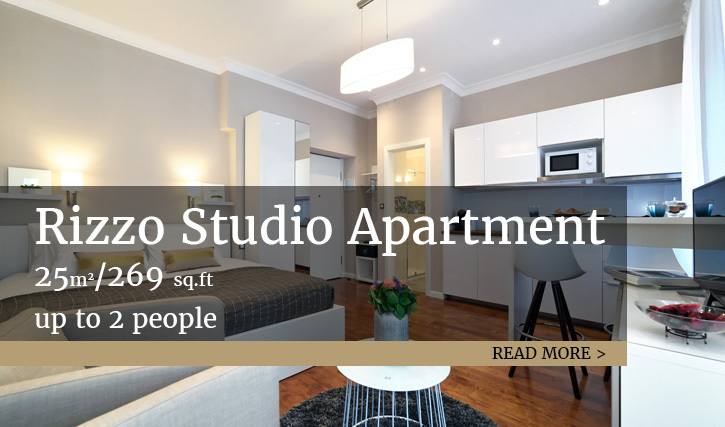 Beyond doubt, you don’t need to look any further for your accommodation in Zagreb – just choose your apartment or combination that suits you best! 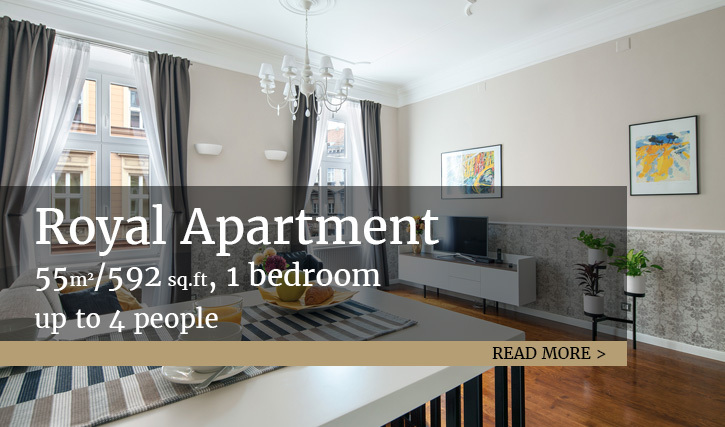 We offer three apartments in the very heart of Zagreb center – two stylish and spacious apartments with one bedroom for capacity of 4 each (Royal 55 m2/592 sq.ft and Rococo 48 m2/516 sq.ft), and charming studio apartment for stay for two (Rizzo 25 m2/269 sq.ft). 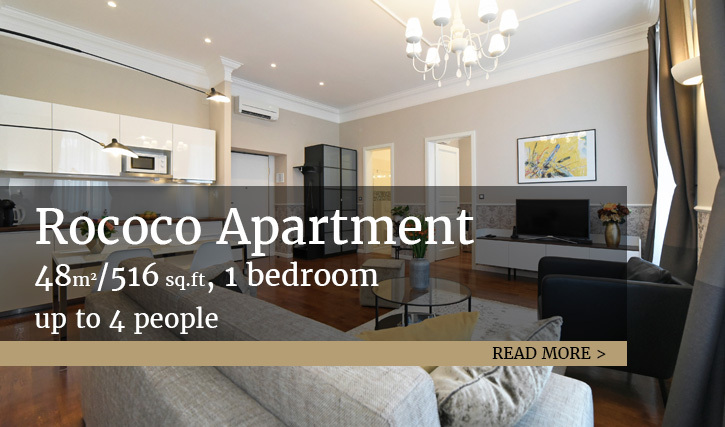 All apartments are at the same location, on the 1st floor of historical building with a luxury lobby. Get the best of your stay – book directly your apartment at best price for an incredible Zagreb experience! Equipment and appliances. We have it all. TV? Smart flat 102cm Samsung, 130 cable TV programs, Netflix. Internet? Free. Super fast 100 Mbit WiFi plus wired SFTP Internet connection in every room. Air conditioning? Self-controlled in every room. Don’t hesitate to ask your host for any advice and suggestion regarding your stay in Zagreb. We are here for you if you need airport pick up or any other transfer around Croatia, tickets for events reservation, restaurants, shopping stores advice, city tour or day trip arrangement, and any other assistance to make your stay in Zagreb exceptional!